The tiles in the bathroom are an important element because having a clean set of flooring, either marble stone or some other is crucial. Subway tile flooring or even the back-splash is a lovely pattern to be incorporated in bathrooms. It is more suitable in bathrooms. 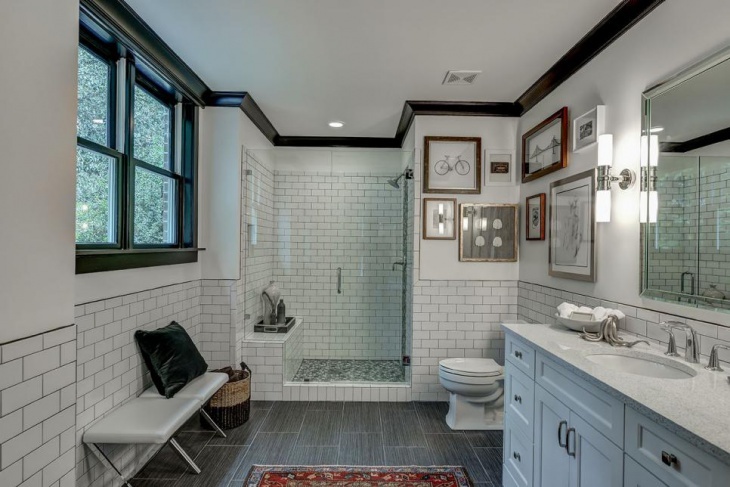 There is a mix of combination in patterns that come in subway tiles which are super cool and perfectly suit the bathrooms. 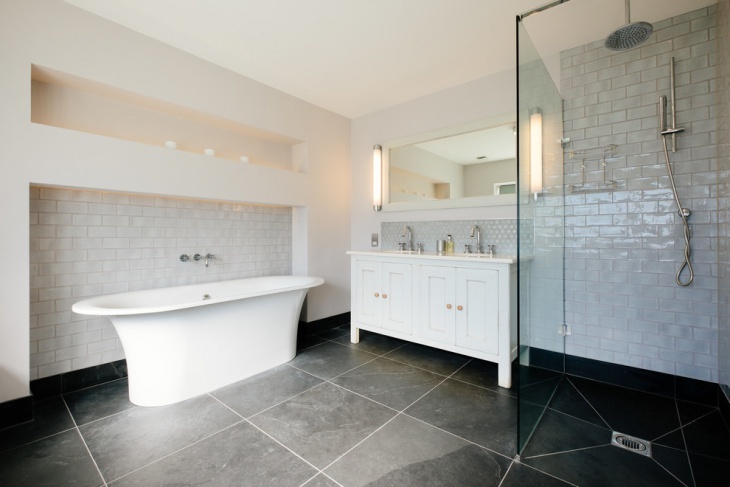 Subway tiles are a classic flooring option but they are integrated in modern day bathrooms as well. 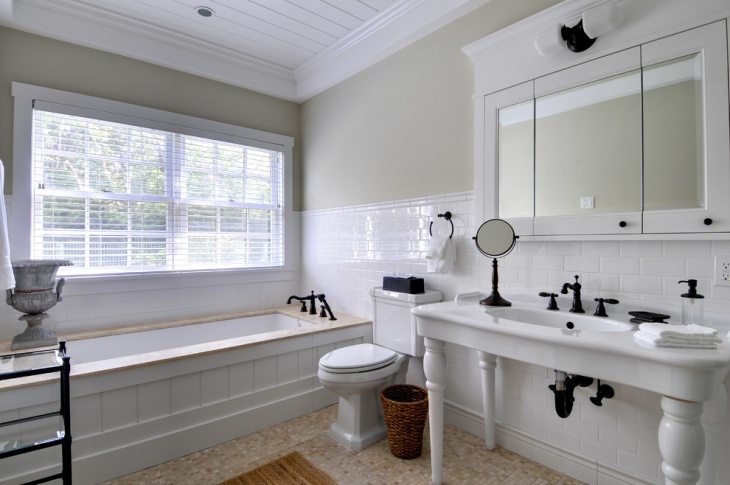 This beautiful farmhouse inspired white bathroom with subway tiles, also in white is timeless. 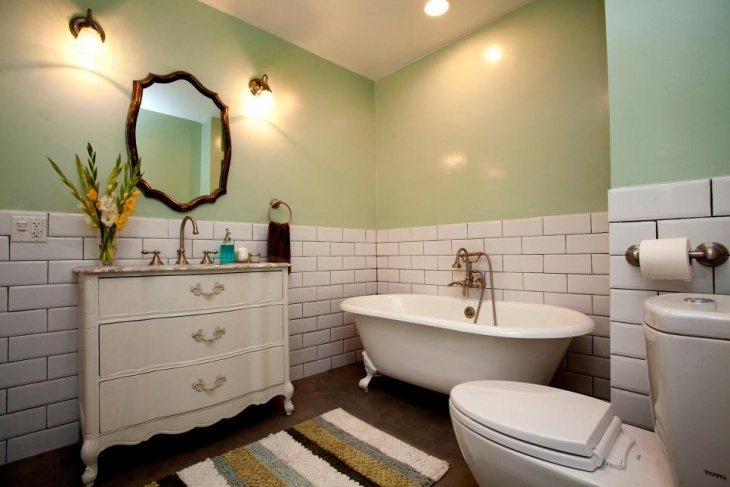 It has the classic subway tile pattern but with a modern twist. The décor used inside the bathroom makes this bathroom look like the rustic meets contemporary kinda design. 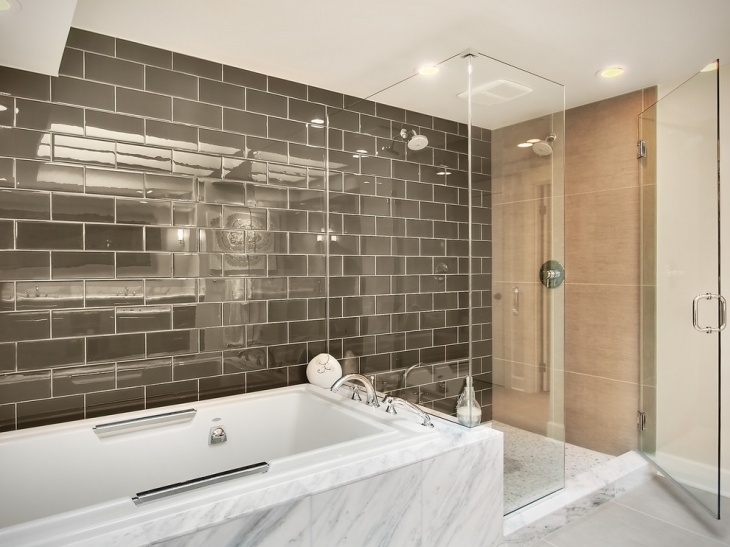 This is yet another contemporary bathroom featuring subway tiles in the backsplash of the bathroom space. 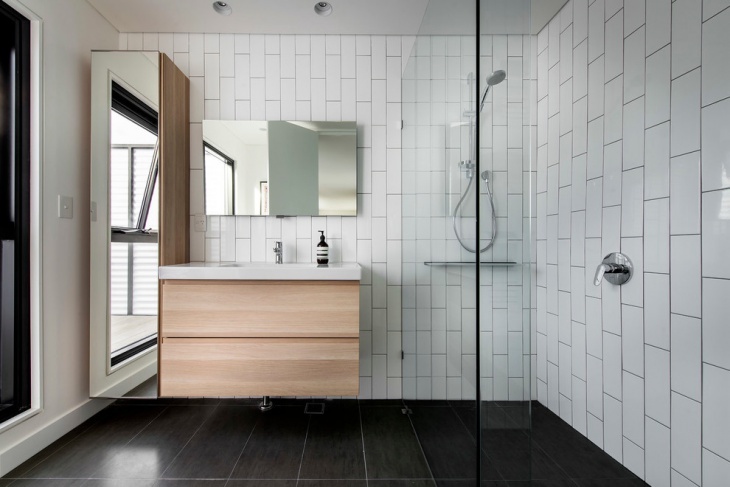 This modern bathroom also features a floating mirror that matches with the beautiful vertical subway tiles in the wall. 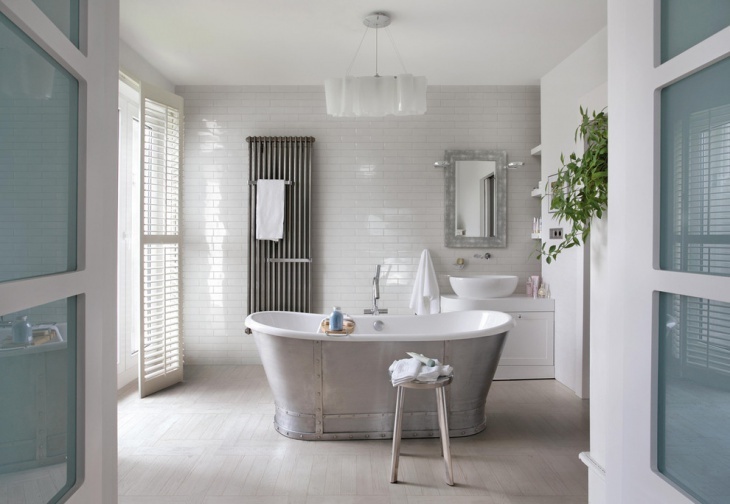 This is a transitional bathroom which is very spacey and large with a classic vintage design. 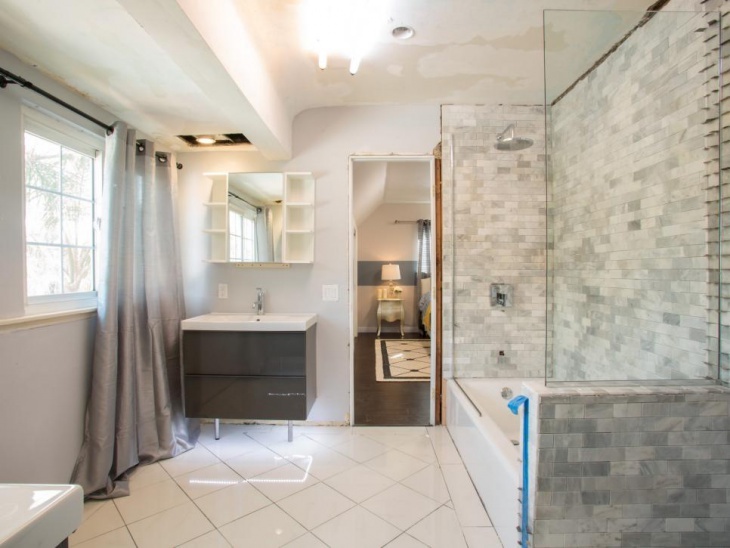 It features a white subway tile backsplash along with a glass enclosure for shower. It also has a curb less shower with recessed shelf. This is a small bathroom with subway tiles used in the backsplash. It has an all white theme and so are the subway tiles. 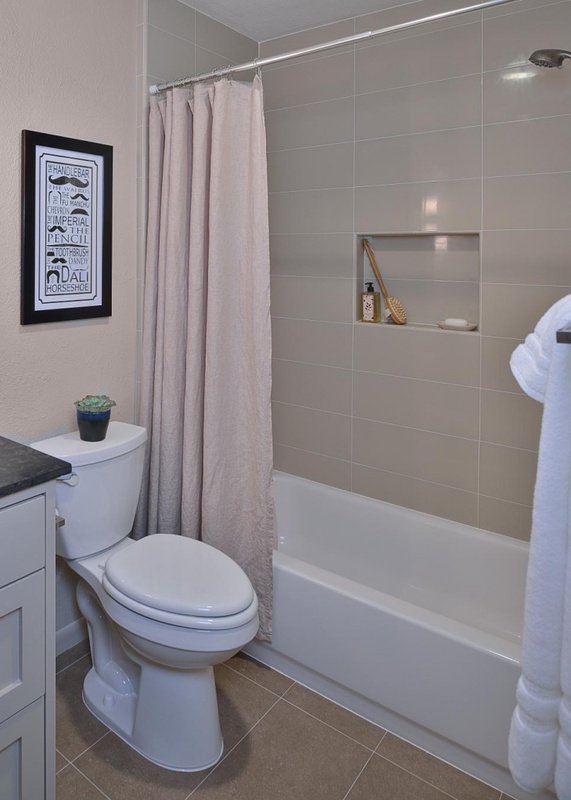 It is a beautiful bathroom that is built in a transitional home with several customized rooms and has everything white including curtains, flooring and other décor. This is a large and traditional bathroom in a white color theme featuring traditional décor such as a marble top soaking tub, an all white console sink with black faucet design. 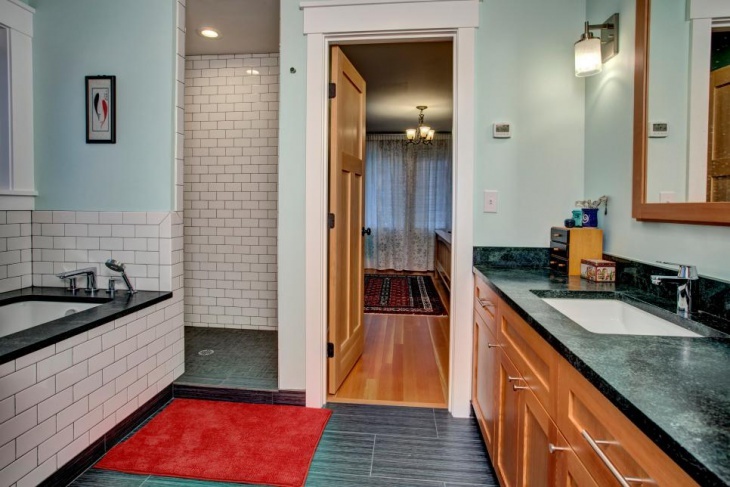 It features subway tiles in the wall right above the tub and also behind the vanity below the mirror. This is a white marble bathroom where the flooring and vanity top is fully built with it. 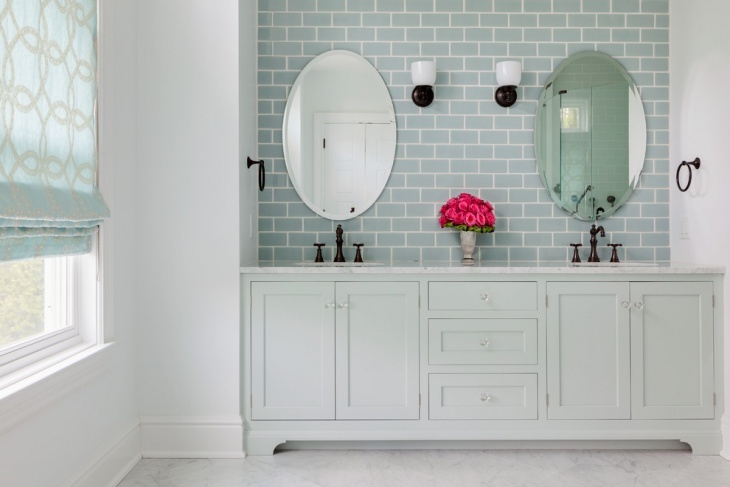 The wall has the half subway tile detailing in white which creates a peaceful look. The lights of the bathroom are very sober and match the aura of the bathroom space. 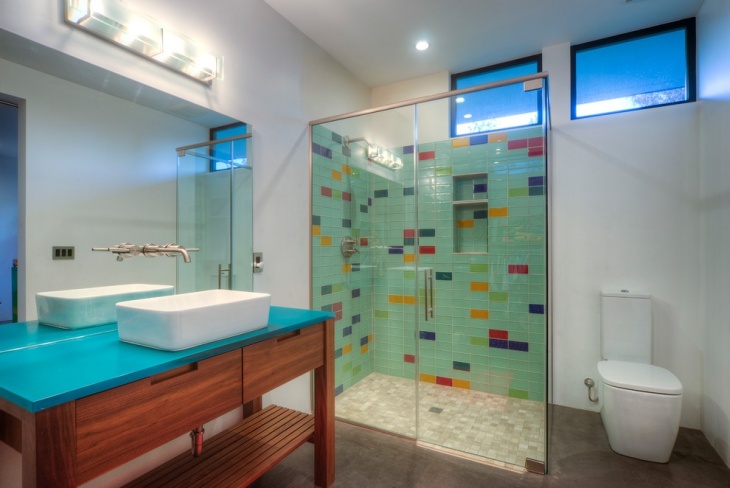 This is a colorful bathroom featuring subway tile backsplash inside the shower enclosure. 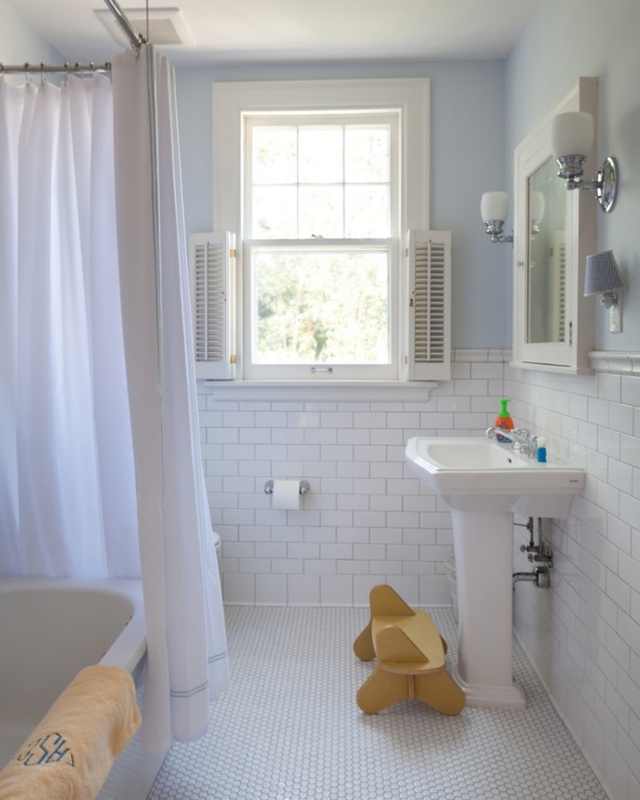 The bathroom subway tiles are in blue with pops of dark blue, yellow and green. It has a chroma countertop with a slant shelf in light blue. 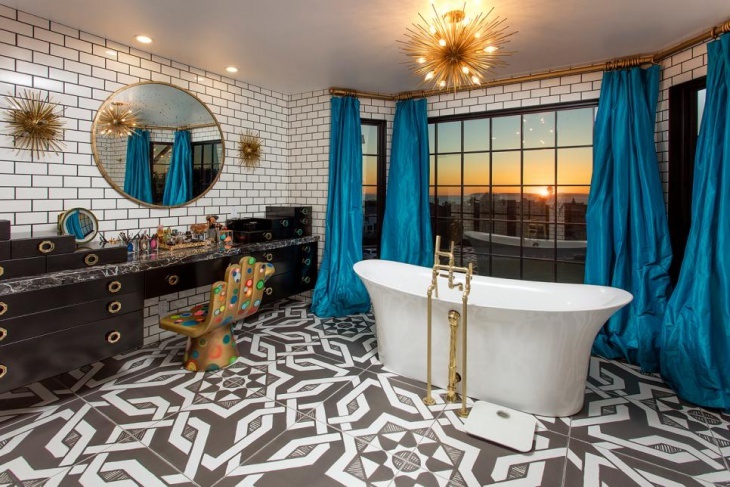 It is a pool inspired bathroom. 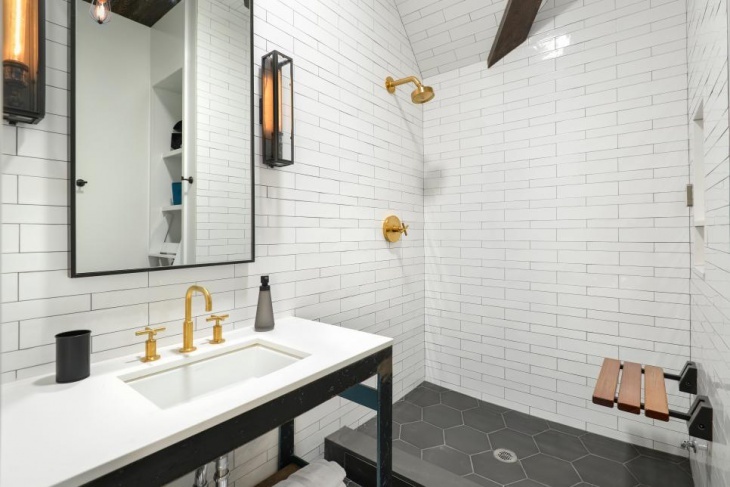 Earlier, subway tiles were used for kitchen backsplashes but subway tiles in bathrooms never go out of style, although subway tiling might be a traditional design but most modern bathrooms go for this option because of its highly functional design.